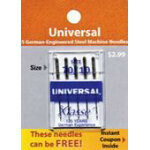 Inspira Overlock Needle size 80. 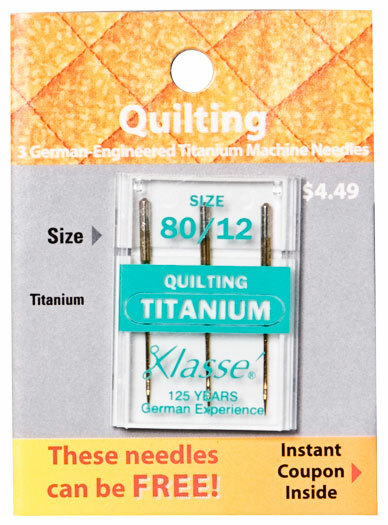 Klasse' Sharps Sz. 60/8. Use for tightly woven fabrics. 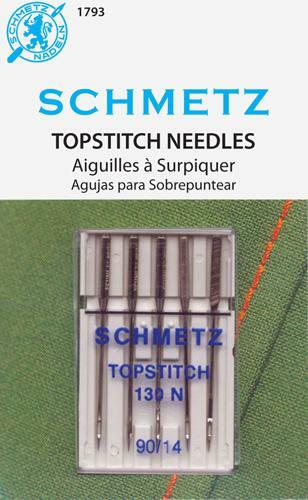 Schmetz Topstitch Needles size 90/14. 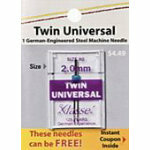 Extra large eye and large groove to accommodate topstitch thread.